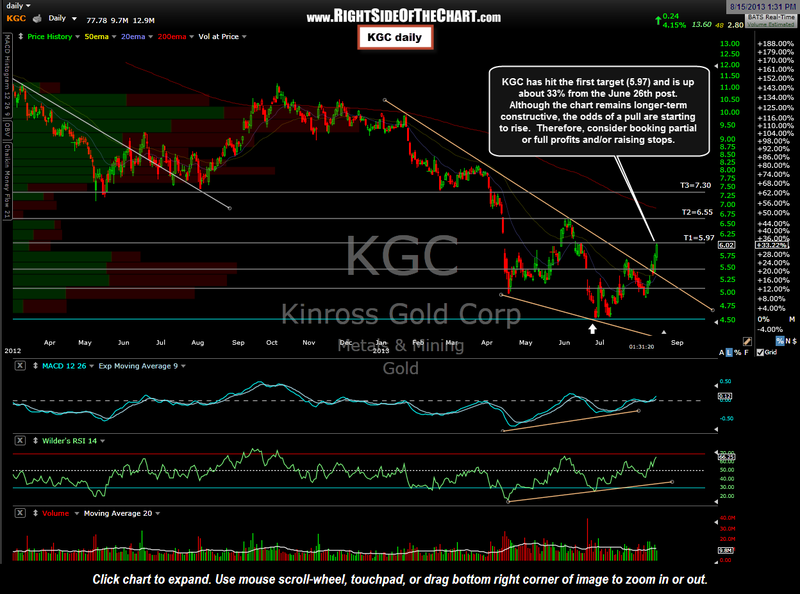 KGC has hit the first target (5.97) and is up about 33% from the June 26th post. Although the chart remains longer-term constructive, the odds of a pull are starting to rise. 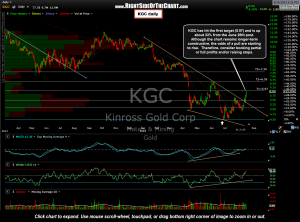 Therefore, consider booking partial or full profits and/or raising stops.